Claudia Hurwitz possesses over 19 years of experience in the immigration field. Her experience includes working at the Consular Section of the U.S. Embassy in Buenos Aires Argentina, and at the U.S. Consulate General in Ciudad Juarez, Mexico. While serving as a Foreign Service National for the U.S. Government in Mexico and in Argentina, Ms. Hurwitz assisted U.S. Consular Officers by conducting preliminary interviews to both immigrant and non-immigrant visa applicants, establishing visa eligibility and completeness of supporting documentation, and assisting with the visa adjudication process. 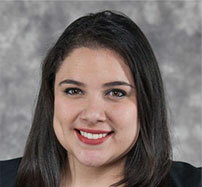 In the U.S., she has provided immigration paralegal and case management services since 2003. 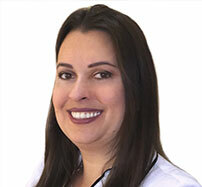 She has prepared and achieved successful results for over 110 PERM cases during her career. 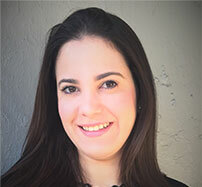 Ms. Hurwitz holds a Master's degree in Business Administration from Universidad Metropolitana de Puerto Rico in Miramar, Florida, as well as a Bachelor's degree in Business Administration from Instituto Tecnologico de Ciudad Juarez in Mexico. She is also Certified Translation Professional accredited by the Global Translation Institute. 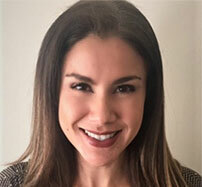 Ms. Hurwitz has been assisting our firm since its inception as a PERM Consultant, and she is considered an essential asset for our organization. She received her Associate's degree in Advertising and Marketing from the University Institute of New Professions in Caracas, Venezuela in 2000. From 2000 to 2009 she worked in the entertainment industry in Venezuela, directing programs such as E! News. In 2010, she began working on the immigration field. She started working at the Non-Immigrant Visa Unit at the U.S. Embassy in Caracas, Venezuela and year later she entered the Immigrant Visa Department where she remained until October 2013 moment in which she decided to move to the United States where she continued to expand her knowledge and experience in the Immigration area. She has worked as Case Manager for Moreno Diaz Law Firm since July 2015 until the present time. Samantha Baca was born and raised in "the San Francisco Bay Area" California. She received her undergraduate degree in Economics and Global Studies at the University of California Santa Barbara in 2013. After graduating from the University of California Santa Barbara, she relocated to Miami, Florida and received her Master's degree in Business Administration from Florida International University in 2016. She is an important member of our team and provides support for some of our must demanding cases include EB-5, E-2, L-1, O-1 and Extraordinary Ability Cases. She always strives to work diligently and provides clients with the best customer service. Maria Celeste received her Juris Doctor degree from University Gran Mariscal of Ayacucho in Cumana, Venezuela in 2009. From 2010 until 2015 she acted as Attorney for the firm Zerpa, Reyes and Associates in Venezuela where she gained legal experience working in different areas such as family, civil and criminal law. She joined the firm in 2017 as our legal assistant.